Pictured on this page are 4 of the known figures in this series. Bossk is the only one to have shown up in a color variation thus far and it is worth noting that it also has a weapon variation. 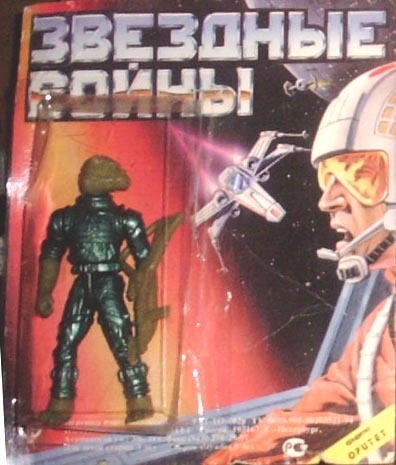 The production POTF2 Bossk came with 2 different weapons while each of the bootlegs that has surfaced has either/or. 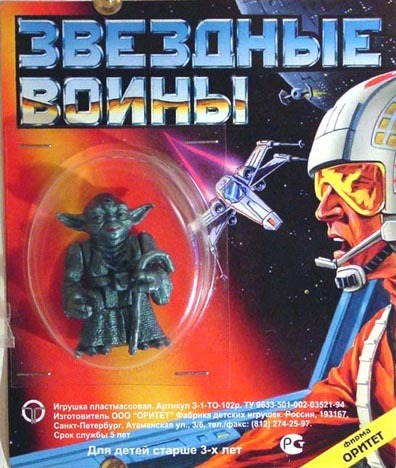 All of the bootlegs on this page are the only ones to have shown up thus far with the exception of Yoda where an identical specimen has turned up. 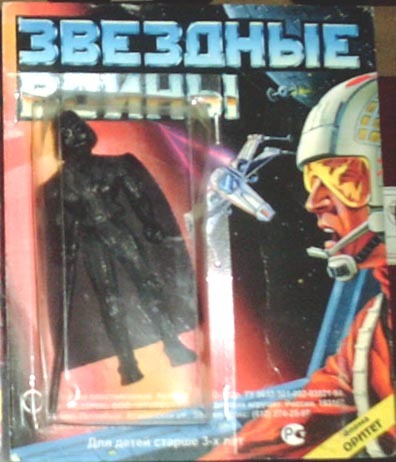 I've been told that there could be as many as 10 different bootlegs in this series but it has yet to be confirmed. 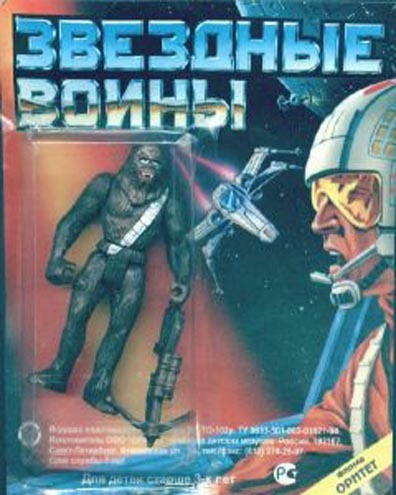 Though many years apart from the vintage Russian bootlegs there is one similarity. 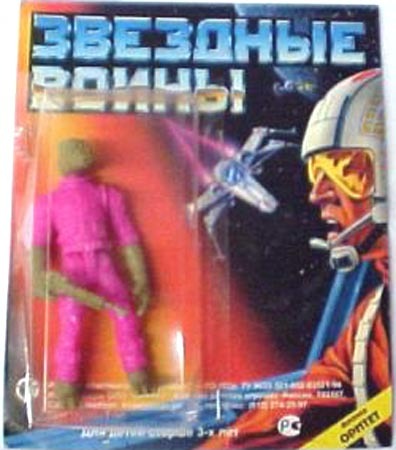 As you can see, in the close-up above, in the lower left hand corner of the card appears the same symbol from all of the vintage Russian figures. Whether this means that the same company made all of the figures has yet to be determined but it is a very strong link.